For their 28th wedding anniverary, dad arranged plans to go to Ohio to see Brooks and Dunn in concert. 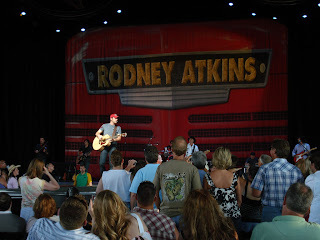 Rodney Atkins opened for Brooks and Dunn and they thought he was awesome as well. They had a lot of fun away for the weekend celebrating their anniversary! Dad text messaged a message to be displayed before the concert started. and celebrate our 28th anniversary"
Rodney Atkins singing "Watching You"
You feel like you are there! 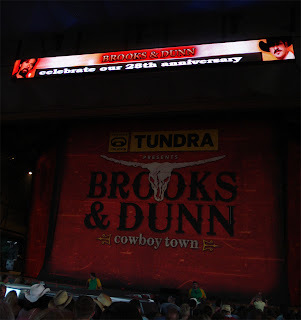 Brooks and Dunn singing "Only in America"
They put on an awesome show! 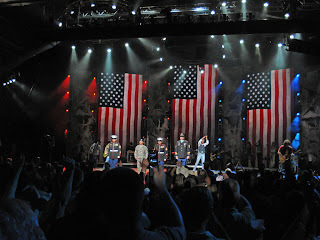 They had uniformed men from the Armed Services come up on stage during "Only in America"